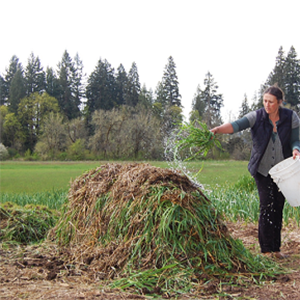 This workshop will explore the relationship between biodynamics and permaculture and what each of these concepts offer. We will look at how these concepts are different and how they are similar. What can they learn from each other? We will look at how the realms of biodynamics (etheric, astral, and spiritual) relate to the concepts of zones in permaculture and how they intersect. We will also discuss systems theory and how it informs and inspires both permaculture and biodynamics. This will not be a “how to” workshop. It will be geared more for those already familiar with the concepts of permaculture and/or biodynamics, and a picture of how the two ideas can be woven together to maximize what they both have to offer, creating an ideal in efficient living systems — with permaculture as a closed-loop design system, and biodynamics as a closed-loop fertility system for nutrition and soil health.